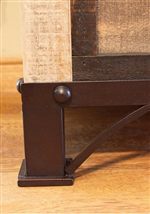 Hand forged iron and solid pine come together seamlessly to create a charming rustic style you will love to have in your home. 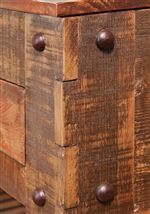 The soft multi-colored distressed finish on hand brushed wood give this piece a one-of-a-kind look. Iron trim and base carry a rust colored finish to continue the natural essence of this media chest. Four drawers and one shelf give you plenty of space for all of your media accessories and more within your bedroom. 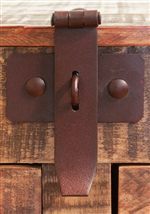 Adorning each of the durable drawers are hand turned wooden knobs to complete this gorgeous chest. 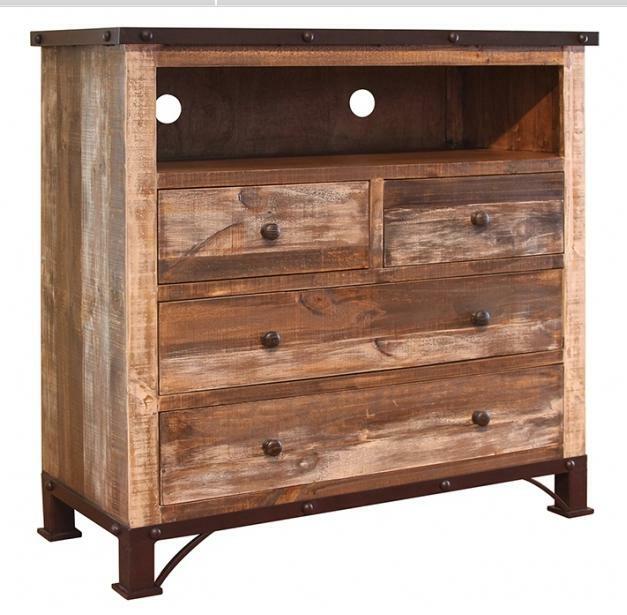 The 900 Antique Rustic 4 Drawer Media Chest by International Furniture Direct at Miskelly Furniture in the Jackson, Pearl, Madison, Ridgeland, Flowood Mississippi area. Product availability may vary. Contact us for the most current availability on this product.